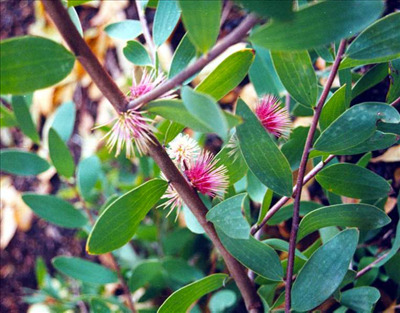 Medium shrub 6-9' x 4-6' with attractive pincushion cream and pink flowers appearing in spring. Requires well-drain soils in full sun or partial shade position. Tolerant of heavy frosts and extended dry periods. Fast growing attractive informal screen or hedge.